I was notified today that a site I admin is showing up to Internet Explorer users as a phishing website. Of course, it actually is not a phishing website and never has been. GWT shows me no evidence of malware or phishing or anything else wrong. Nor did a malware scan find anything. I have already submitted it to Microsoft for removal, and Microsoft already notified me that they will be removing it. What I want to know is how did it get listed in the first place? I am aware that users can submit websites as phishing sites from within IE, but doesn't Microsoft even attempt to verify these submissions? Or is there another way that Microsoft lists sites as phishing websites? How can I prevent my site from being incorrectly listed in the first place? 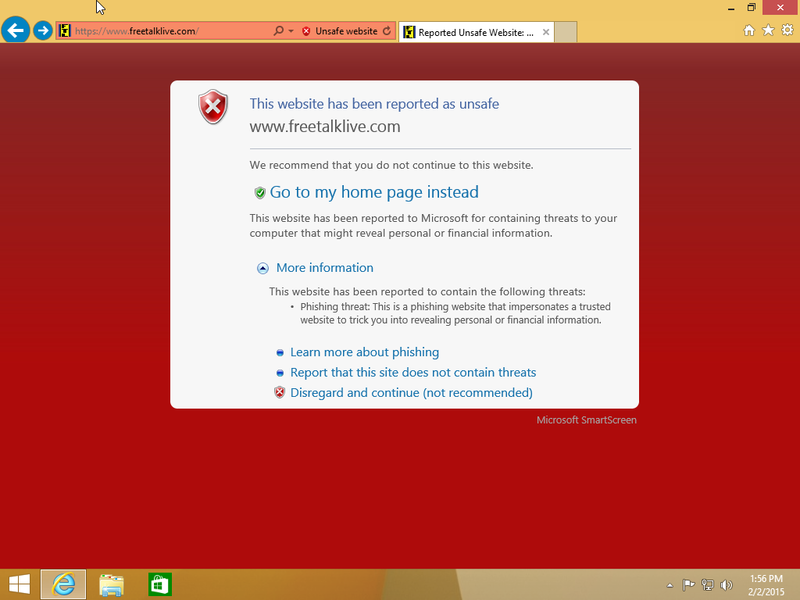 According to http://windows.microsoft.com/en-us/windows7/smartscreen-filter-frequently-asked-questions-ie9, as far as I can tell, malicious websites are reported by users. Also, you can report your site as safe by clicking "More Information", then, "Report that this site does not contain threats". Not the answer you're looking for? Browse other questions tagged malware microsoft phishing or ask your own question. Does installing PHP using the Microsoft IIS Web Platform Installer require a restart? How can I fix the #c3284d# malvertising hack on my website? Google banned my site, how can I clear virus from my site?